The info graphic comes to us courtesy of comicsalliance.com. And as you can see, they’ve pretty much covered every base you can cover, down to the Lego Batman movie. I’m also entertained by the fact that dates for “Unknown Movie (Marvel)” have been announced before the actual concept. Only in Hollywood. This of course means they have several untitled projects (maybe a Hulk movie?) 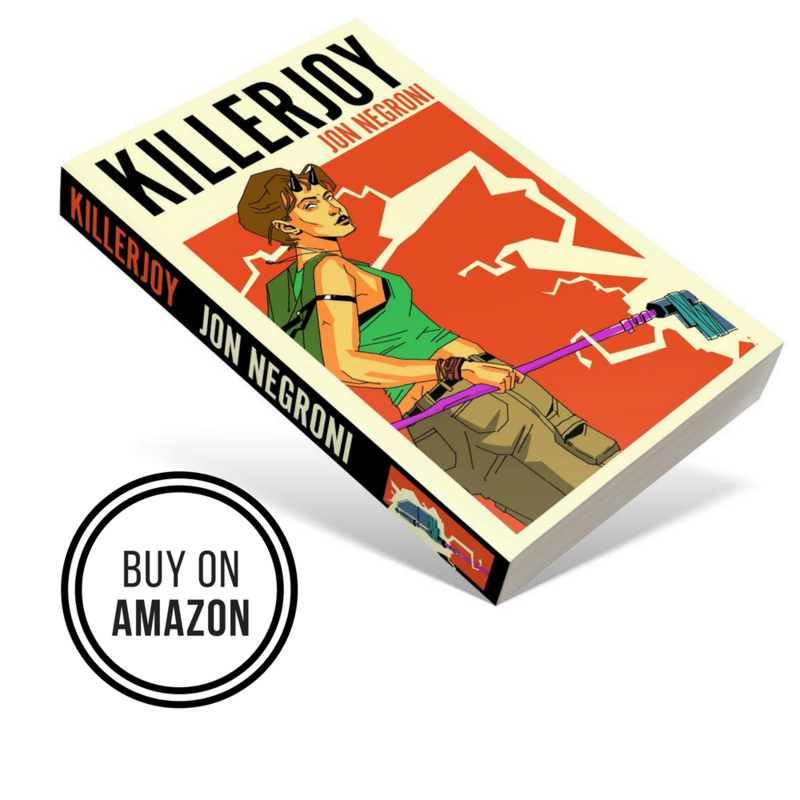 that they could slip into those release dates, and the powers that be are simply waiting on the call from preproduction. Won’t be long before they actually make the announcement. Anyway, is the comic book movie market getting over saturated? It’s pretty easy to think so after looking at a list like this, and I’m tempted to roll my eyes. But the key thing to remember is that thanks to Marvel and D.C., “superhero” movies have been broadened to include more genres than just the men in tights gimmick. These studios have proven that you can make movies that encompass genres that are faithful to their stories. Thor is a fantasy movie above all else. Captain America is a political thriller. And Iron Man is action comedy. With all of these movies telling different types of stories on different scales, I’m worrying less and less about over saturation. For now. Previous Previous post: This Captain America Theory Pretty Much Spoils The Entire Franchise. 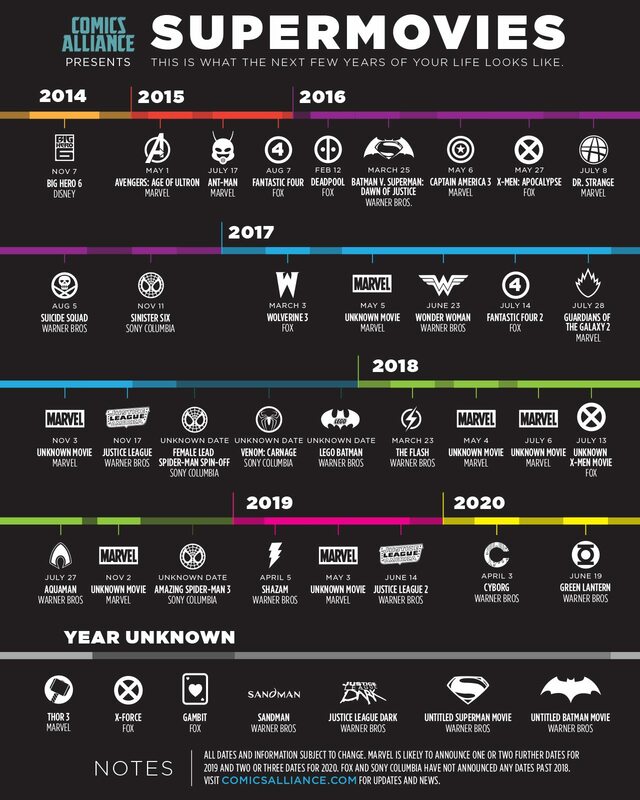 15 replies to This Graphic Shows You Every Comic Book Movie Coming Out In The Next 6 Years. How would you keep up with all that? I’m most excited to see if some of the other studios manage to do what Marvel have done, turning superhero movies into diverse things that cross over with all those other genres. Fingers very much crossed. Though also – Aquaman, seriously? I never got the hate for Aquaman – 70% of the Earth is water, he is one of the most powerful superheros out there! But out of all the DC characters out there, would you pick him as one of half a dozen to get their own films? Either from personal taste or commercial potential? I’ve got nothing particularly against Aquaman, it just seems an odd choice. If done well, it could be spectacular – He hails from Atlantis, so I’m hoping for a storyline like Thor’s: just embrace the style. If done average or below-average it would be the worst. It needs to be very good to make it work. Why don’t you make one for the next upcoming disney or pixar movies? Haha that’s not a bad idea. To be clear, I didn’t make this graphic. It was put together by Comics Alliance. The comparison with Thor’s a good one – I was very cynical about that when it was announced, and I ended up loving the films. So actually, yes, that could be really cool. Wow, I never thought I’d say this, but you’ve got me intrigued by what an Aquaman movie might be like. Aquaman is definitely well-loved, though. He was one of the Superfriends! Even if he’s mocked a bit, you can’t deny that Aquaman is well-known. Agreed. I have high hopes that DC can do with Aquaman what Marvel was able to do with Thor (another fantasy-based superhero no one thought could be translated to film). So interesting… Movies have great competition from these types of superhero movies. It’s barely a competition, it seems. Superhero movies, Animated movies, and Young Adult movies have been some of Hollywood’s only success stories lately with few exceptions. And of those three, Superhero/Comic Book movies are the only genre that has widespread appeal among the main moviegoer demographics.